Most of Connecticut is now in a severe drought. The rainfall deficit begin in May 2015 and has only gotten worse since. Windsor Locks is now down more than 15 inches of rain since the beginning of 2015. NBC Connecticut commisioned aerial video to see the banks of the Connecticut River from high above. First Alert meteorologist Tyler Jankoski shows you some of the footage and explains the drought in the video above. River flow rates are much below average for this time of year. On the Farmington River, a new record minimum flow rate was set on Friday, September 16. The data there goes back 44 years. No one storm will erase this drought, though a tropical system could make a big dent in the deficit. Right now, First Alert forecasters do not see any tropical activity in the near future. 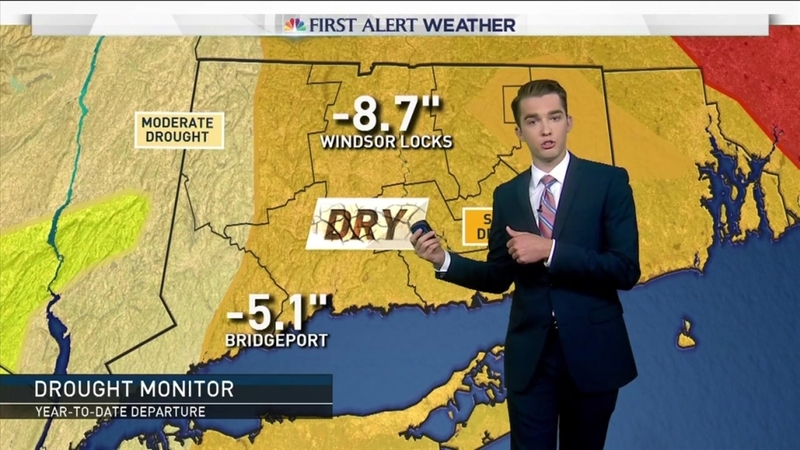 Winter is historically the driest time of year in Connecticut, so it's likely this drought continues for some time to come.